The four brand new beautifully appointed boutique stores at Turning Stone will feature both men’s and women’s contemporary fashion and casual wear, stylish jewelry and a selection of accessories from national brands and private labels. October 15, 2018 - Turning Stone Resort Casino and Syracuse fashion retailer Joel Shapiro announced The Commons at Turning Stone, the highly-anticipated collection of four independent boutiques at the award-winning destination resort, will mark its Grand Opening on Thursday, November 1 at 10:00 a.m. 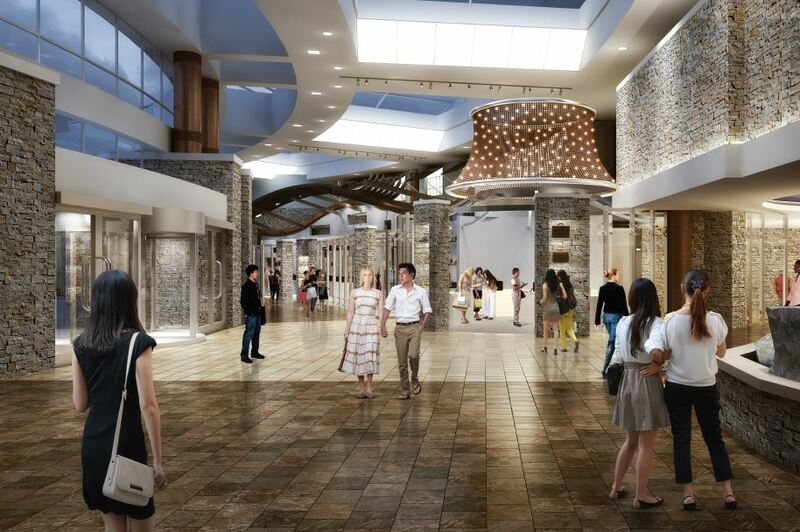 The Commons at Turning Stone will feature 4,500 square feet of boutique shopping, with a mix of both men’s and women’s contemporary fashions and casual wear, stylish jewelry and a diverse selection of accessories. Located in the main entryway of the resort, near the entrance of The Tower hotel, The Commons at Turning Stone will offer guests the latest styles of the season from both national brands and private labels. Revel Supply: Contemporary men’s and women’s apparel and casual wear from national brands including Tommy Bahama and Robert Graham. Willow & Jaye: Women’s stylish clothing, including knits, sweaters and accessories. Polly Cooper: Modern women’s fashion and apparel. Juniper: Women’s jewelry and accessories from brands including Swarovski and ALEX AND ANI. The four new stores featured at Turning Stone are owned and operated by local fashion entrepreneur Joel Shapiro, who also runs Syracuse’s menswear store Mr. Shop, owned by his family since the 1960s. The new boutique shopping will add to the world-class entertainment offerings at Turning Stone, which include signature restaurants, Las Vegas-style gaming, championship golf, live entertainment and much more. Shoppers will also be able to earn and redeem TS Rewards points at the stores.